Whether it’s family responsibilities, a work transfer, or a sense of adventure that’s pushing you toward Bridgeport, this life transition should be an exciting time for you and your family—not one full of dread, stress, and frustration! To get the seamless and hassle-free experience you deserve, turn to the long-distance moving professionals of Simonik Moving & Storage. 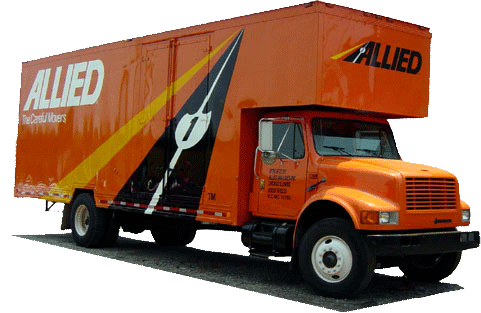 A professional mover since 1977, we’re also a BBB-accredited business and award-winning agent for Allied Van Lines, making us part of the premier national network of moving and storage experts. When moving from NJ to Bridgeport, you can’t go wrong with our customer-oriented and Allied-backed relocation experts! When you’re moving to Bridgeport from New Jersey, you deserve to know that your moving company is not only there for you from start to finish but also capable of meeting your every need—two things you’re absolutely guaranteed by choosing Simonik! We’ll start your move on the right foot by sending an experienced professional to your home for a free estimate of moving costs. Then we’ll continue our personalized service by providing the support of a dedicated Relocation Coordinator. You’ll be able to consult with this Simonik expert to select your preferred services and get helpful updates about the status of your move. Our top-rated moving services are just one of the benefits of choosing Simonik for your move from New Jersey to Bridgeport. By working with our experienced crews, you’ll also get helpful support for all of your storage needs! Just let us know that you’d like some additional time before receiving your household items, and we’ll store them in our secure warehouse facilities for any length of time. Because we use advanced security monitoring and specially designed long-distance shipping containers, you won’t ever have to worry about the safety of your valuable household goods! Here at Simonik, we’re pleased to offer our services to individuals and families throughout North and Central Jersey, including the following counties: Hunterdon, Mercer, Middlesex, Monmouth, Morris, and Somerset. No matter where your home may be, we’ll complete your move from NJ to Bridgeport with the highest levels of ease and efficiency! As a ProMover member of the American Moving and Storage Association and a past recipient of the New Jersey Warehousemen & Movers Association’s “Mover of the Year” Award, we stay up to date regarding all long-distance moving requirements and best practices—making sure your move is just as seamless as it is stress-free! For guaranteed service and first-class moving expertise, look no further than Simonik Moving & Storage. Call us today to speak with a NJ to Bridgeport moving specialist, or fill out our fast online form to request your free, no-obligation moving quote.